G4S Israel, which holds contracts to equip Israeli detention centers and prisons, military and security forces, settlements, walls, checkpoints and other occupation infrastructure, had made its parent company the target of an international network of Palestinians and supporters. “BDS pressure is making some of the world’s largest corporations realize that profiting from Israeli apartheid and colonialism is bad for business,” said Mahmoud Nawajaa, a spokesperson for the Palestinian Boycott, Divestment and Sanctions (BDS) National Committee, in a March 10 statement. On April 17, 2012, the 38th annual Palestinian Prisoners’ Day and the start of a mass hunger strike by thousands of Palestinian political prisoners, the Boycott National Committee and prisoner support groups launched a global campaign against G4S because of its support for Israel’s occupation of Palestine and political imprisonment of Palestinians. G4S Israel, in which G4S holds a 92 percent stake, equips Israel’s Damon, Ketziot, Megido, Ofer and Rimonim prisons, which together hold over 5,400 Palestinian political prisoners, as well as its Kishon and Jerusalem detention and interrogation centers — notorious for the torture of thousands of Palestinians who have passed through them. The company also services Israel’s checkpoints in the West Bank and Gaza Strip — including those attached to its infamous “Apartheid Wall,” ruled illegal by the International Court of Justice in 2004 — as well as its West Bank settlements and military and security forces facilities. On Aug. 3, the National and Islamic Forces, the national Palestinian prisoners’ movement inside Israeli jails, released a statement supporting the campaign. 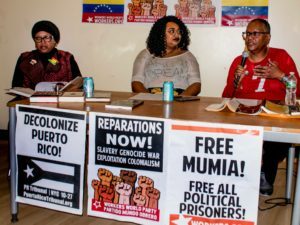 “We emphasize the importance of boycotting the security corporation, G4S, which supports the occupation and has established the closest relationship with it, as well as other companies providing similar services in this arena,” the prisoners wrote. The campaign against G4S has included boycotts of its services and efforts to force institutional shareholders to divest from its stocks. Because of G4S’ massive scale — with more than 623,000 employees in over 110 countries on six continents — the world’s largest security firm and second-biggest private employer (after Walmart) offers a convenient target across much of the globe. After protests by supporters of Palestine, in 2014 the Bill & Melinda Gates Foundation, followed by the United Methodist Church, sold their shares in G4S, and Durham County, N.C., ended its contract to provide privatized security guards at government buildings. 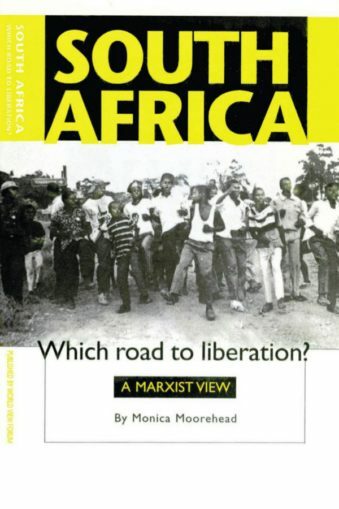 Other activists have also targeted the company for its activities in the United States, which include running for-profit youth jails and holding, transporting and deporting migrants detained by Immigration and Customs Enforcement. Last year, Columbia University and the University of California divested from G4S after students organized against their schools’ holdings in it and other companies that operate private prisons and detention centers. Internationally, G4S has faced growing losses as businesses, labor unions, student groups, colleges and universities, charities, religious institutions and local governments have refused to share in the company’s complicity with Israeli apartheid. At the end of February, massive restaurant chain Crepes & Waffles in Colombia ended a contract with G4S. The United Nations Children’s Emergency Fund office in Amman, Jordan, did the same in early March. 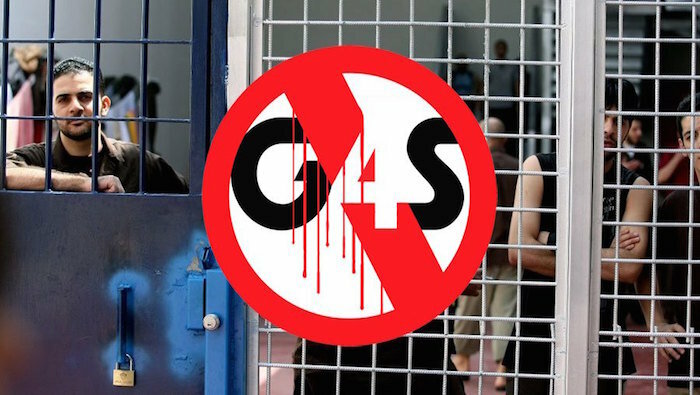 Showing the breadth of opposition to it, G4S announced its withdrawal from not only the Israeli market, but also its youth detention facilities in the U.S. and Great Britain. In New York City, Samidoun: Palestinian Prisoner Solidarity Network has protested at 4 p.m. on most Fridays since mid-October outside the G4S office at 19 West 44th St.
Like other parts of the global campaign to force an end to G4S’ Israeli contracts, these weekly gatherings will continue until the company’s promises are implemented. The next protest, on March 18, will highlight the imprisonment of Mohammed Abu Sakha, a children’s instructor and performer at the Palestinian Circus School and one of 670 “administrative detainees” held by Israel without charge or trial. “At a time when Israel is stepping up its campaign of mass incarceration as a way of repressing Palestinian society, G4S should immediately end its role in the notorious Israeli prison system, as well as its involvement in securing Israeli checkpoints and illegal settlements,” stated Sahar Francis, director of the Ramallah-based Addameer Prisoner Support and Human Rights Association. 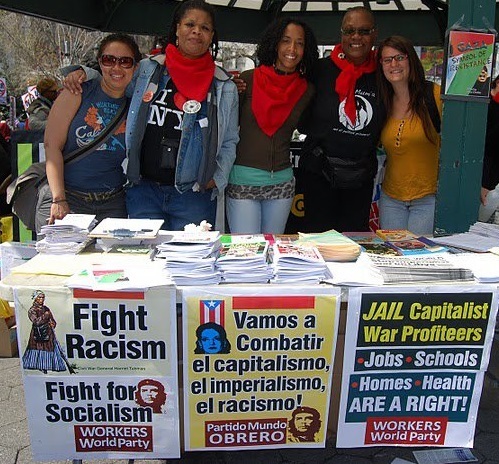 Joe Catron is an organizer with Samidoun: Palestinian Prisoner Solidarity Network.